The upper spectrum of the luxury car segment is suddenly abuzz with the arrival of new models and updated variants of current offerings. Mercedes brought in the all-new S-Class to India which is now even locally assembled here, Audi and Jaguar meanwhile updated their flagship models, the XJ and the A8L. 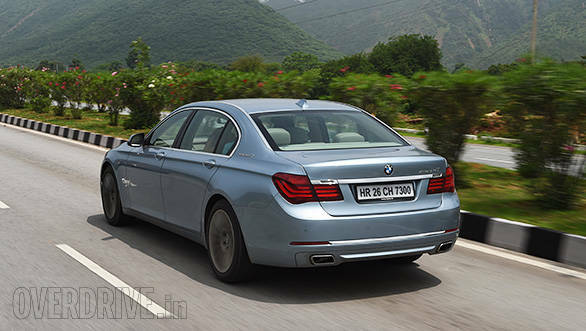 So BMW couldn't sit there idling away, the 7 Series did get some new features and a different face but that was last year. Now, the German manufacturer has offered a newer variant in the form of a segment first hybrid car, the ActiveHybrid 7. Does a petrol-hybrid make sense in a segment that is dominated by diesels? The ActiveHybrid 7 as the name suggests is not a fully electric powered car. The car features a synchronous electric motor that aids the petrol motor power and the efficiency. 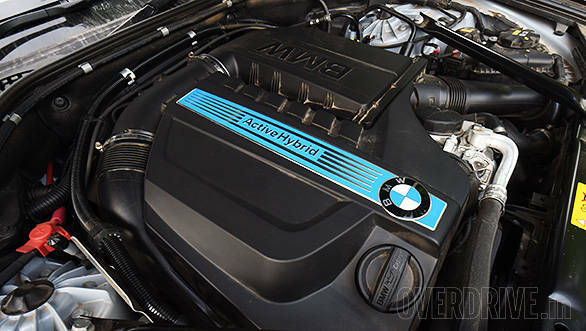 The petrol motor is similar to the new 740Li, the twin-turbo straight-six motor produces 320PS and 450Nm but the additional electric motor puts out 55PS of power. The system output is an impressive 354PS and a whopping 500Nm. At the same time, efficiency is claimed to have improved - overall efficiency is a claimed 13.85kmpl meaning the car uses 14 per cent less fuel than the BMW 740Li. But how does it feel and perform in the real world? We find out. . . The petrol motor is easily one of the most refined six-cylinder engines today, despite being turbocharged the motor is rev happy and is a delight to drive and did we mention the engine note is not loud yet addictive? But what does the electric motor do? At parking speeds or when driven with a light foot, the car can pull through purely on electric power. It isn't easy to hold it in this mode though, the throttle is sensitive and even the slightest increase in throttle input will rouse the petrol motor. And if one can drive the car in fully electric mode, the car can cover a maximum of four kilometres at at max speed of 60kmph, with zero emissions. There is no dedicated start/stop button since the hybrid motor automatically activates the function when the car comes to a halt. In terms of performance, apart from the increase in total power, the electric motor also adds an extra 210Nm of torque through the boost function when a sudden surge of power is demanded. This function helps improve roll-on times but doesn't improve the acceleration figure. 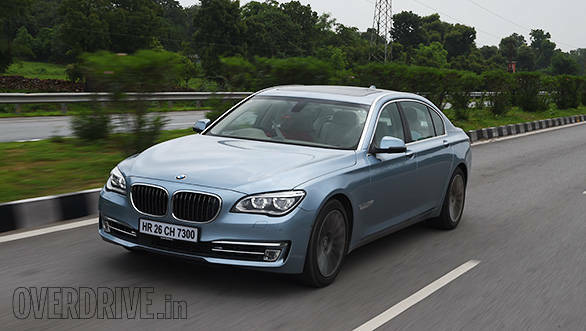 The claimed 0-100kmph figure is similar to that of the 740Li which features the same engine sans electric motor. We tested the car and found that 100kmph comes up in 7 seconds, more than a second higher than the claimed figure (5.7s) - we can attribute this to testing conditions and quality of fuel. Talking fuel efficiency, the ActiveHybrid 7 returned 6.2kmpl in town while the best highway figure we achieved was 8.8kmpl, translating to an overall figure of 6.85kmpl. In comparison the more affordable and almost at par in terms of features, 730Ld diesel returns a much higher 11.1kmpl. The electric motor helps reduce CO2 emissions, although not as highly reduced as the diesel car. The 7 Series is a luxury limo. In fact India gets the stretched version so there's plenty of room and comfort on offer especially for the rear passengers. The rear seats are as comfortable as a couch and the passengers also get separate rear seat entertainment screens on both sides with an iDrive controller mounted on the rear armrest. There's also a massage function that is offered as standard. The interior is designed in the same luxury-limo manner, so one gets a cabin that is high on quality and built well, a Harman Kardon stereo is standard and features 16 speakers. 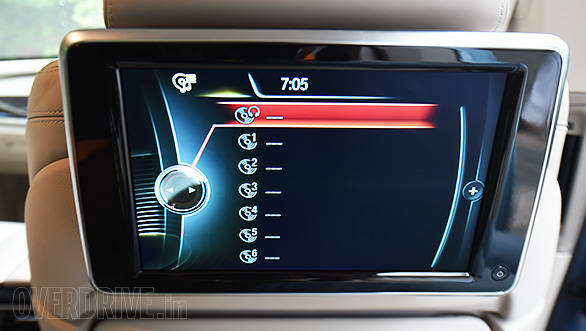 Our test car featured the more premium and optional Bang & Olufsen system. 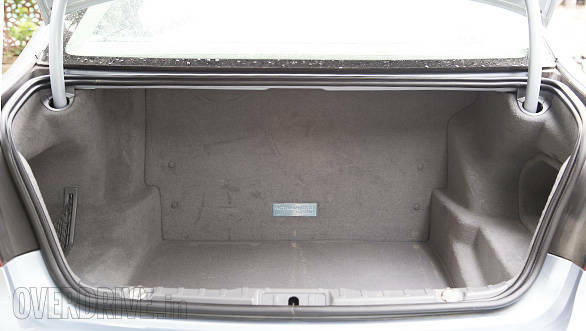 ActiveHybrid badging also make it to the centre console and the door sills. 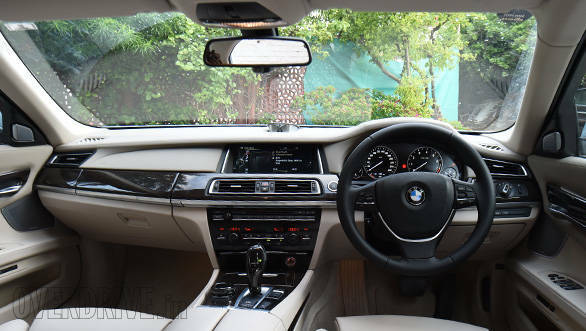 But it all boils down to the price, the ActiveHybrid 7 is priced at an ex-showroom price of Rs 1.35 crore, making it more expensive than the 740 Li by Rs 12 lakh and the diesel 730Ld, by Rs 32 lakh. The latter, as we mentioned before, is even more efficient and also boasts lower CO2 emissions. Why should you then choose the ActiveHybrid 7 over the diesel? Well, the petrol motor is an absolute delight and at the same time, more efficient than the regular 740Li, featuring a quieter cabin and offers slightly more functions. But for all the tree-huggers out there, looking to save the environment and reduce overall costs, the 730Ld is still our pick.